Chuck Norris is so fast that he needs a new EPC notation. Does Chuck need escalation events? 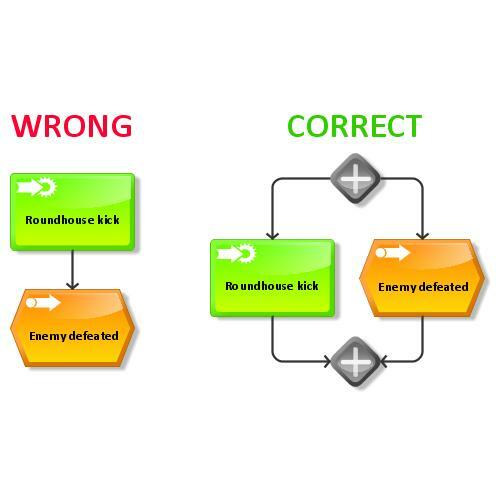 I think we need more details how the roundhouse kick is executed. Chuck, please add a FAD (Function Allocation Diagram) to elaborate your special style to defeat an enemy.